We’re coming up on rivalry weekend in college football, and this year I’m even more excited to watch my Washington State University Cougars play our across-the-mountain rivals, the University of Washington Huskies, because one of my very lovely and sports-literate writing friends, Sarah Enni, is a Husky herself! 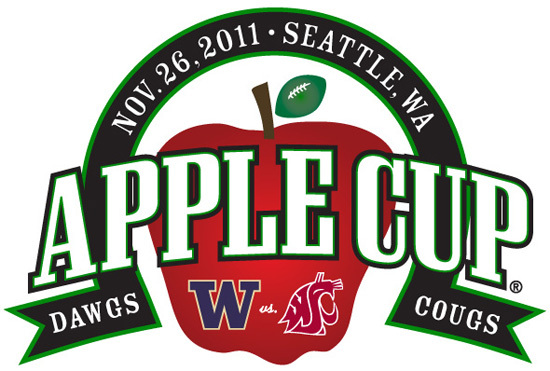 So to bring a little college football love to the blogs, we’ve decided to host an Apple Cup Contest! The contest will be hosted on both our blogs, and we’re both offering prizes! Sarah’s prize pack includes copies of The Daughter of Smoke and Bone and Shatter Me, and I have copies of Anna and the French Kiss and Lola and the Boy Next Door up for grabs. If the Cougs win, my prize pack will go to the first place winner, and Sarah’s prize will go to the runner-up. If the Huskies win, prizes will be awarded vice versa. You have until Apple Cup kick-off (Saturday, November 26, 7:30 p.m. ET, 4:30 p.m. PT) to make your guesses! There are no extra points for Tweeting/blogging about this giveaway (because the rules are a little different and we don’t want to add any confusion) but we’d love it if you spread the word. *Tie breaker will go to the first person to guess (according to comment time-stamp), so make your guesses early! What a cool giveaway, Katy! I’ve heard great things about both Stephanie books and Tahereh’s, and you know I’ve already read and loved Daughter. I’m gonna guess 35 points, 3 touch downs to 2. Off to spread the word! Oh no! That didn’t even occur to me, Jaime. (I’m not really *that* kind of Cougar. :)) You didn’t make a combined score guess… are you entering? Because you totally should! I met Sarah in New Orleans this summer! I had no idea you guys knew each other. She’s so sweet though, as you are. OF COURSE you know each other. Love this thing you guys have going, except I know nothing about sports. Had you not mentioned this was college football, I might not have guessed. It’s tragic, I know, especially to sports fans. I’m versed in the Colts and Purdue football and basketball, but only to the smallest degree required by your husband who roots for them to the nth degree. On that note, you guys are freaking gorgeous. No wonder your little girlie is such a baby doll. You guys need to be on the cover of something. Oh, this is fun. I’ll say 30. What a creative and awesome giveaway! I actually saw your cougars play a few weeks ago here at Oregon — clearly I should have been scouting them more closely. 😛 I’m excited to have another rivalry game to care about now though. I’ll guess 52 total points. And should we enter different guesses on the two blogs? I’m gonna go with 43. And I will totally come back to enter, you know, after I’ve had time to mull my entry over with my husband. 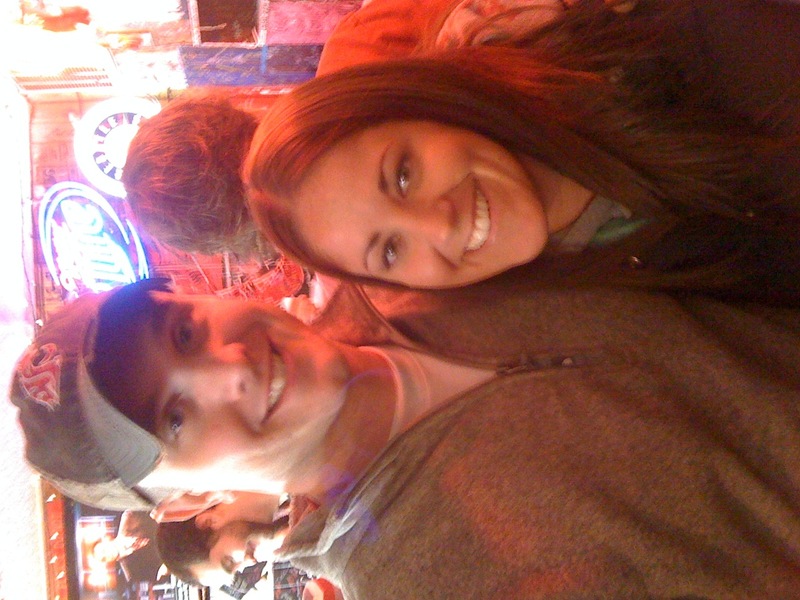 And cute pic of you and your hubs! Love it! Thanks, lovely! Don’t forget to come back and enter a guess! Love it. And even better cause I know nothing about football. You guys are adorable. I agree with Carol. Go Cougars! Totally realistic, Kris. Slightly low, but definitely a possibility. Thanks so much for entering! That is the cutest picture! You guys should be cover models. Fun Katy!! I’ll play Cougs win of course 27 to 24 totaling my number to 51!!! ❤ GO COUGS!!!! OK, so the total I guessed over on Sarah’s blog has already been guessed here. Can I make a different guess? Feel free to disqualify me if I’m breaking the rules, Katy–I won’t be offended. 🙂 OK, so for you, I’m going to go with… 44. Nope, you’re totally within the rules, Colin. Thanks for entering, and good luck! So, I’m back -after a little research, eh, but I did enough research to know that they’ve both been scoring around 27-30 points in most of their games this year so I’m going with 57. Okay, now I’m off to enter Sarah’s! Hope you had a wonderful Thanksgiving!